The aim of this article is to give you an idea of the team surrounding Raga and the level of work that goes into preparing the machines of the very top riders. 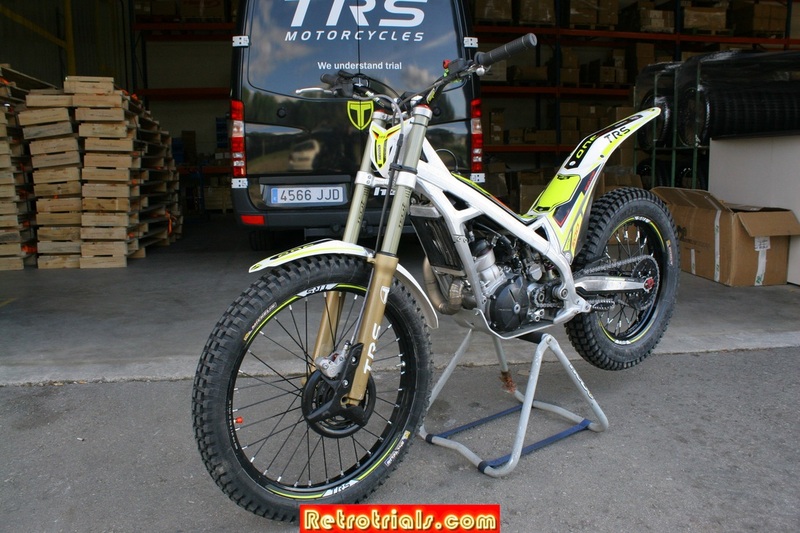 In April 2016 Retrotrials.com had the pleasure of accompanying the TRS team to the 1st World round at Cal Rosal. 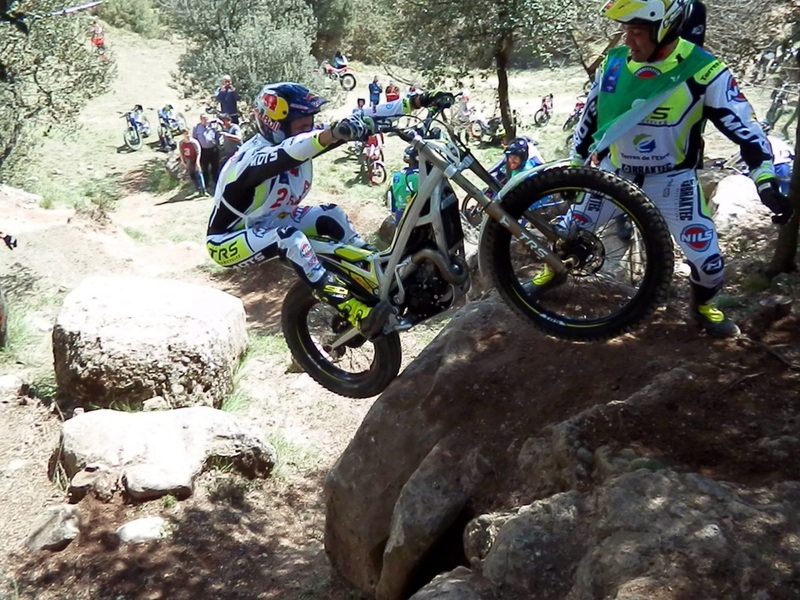 This took place from Thursday to Sunday inclusive ,giving me 4 days with the TRS team in Rellinars , Manresa and laterly Cal Rosal the location of the 1st World trial of 2016 . 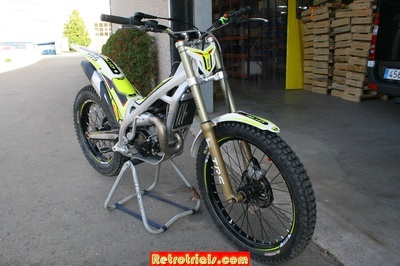 The purpose of my visit was primarily to support Pol Tarres who Retrotrials.com sponsors. The 2nd aim of the visit was to enjoy and experience World trial from a team perspective from the inside, rather than a spectator . Here is a chronological listing of the days events , concentrating on machine preparation and the rider's team. 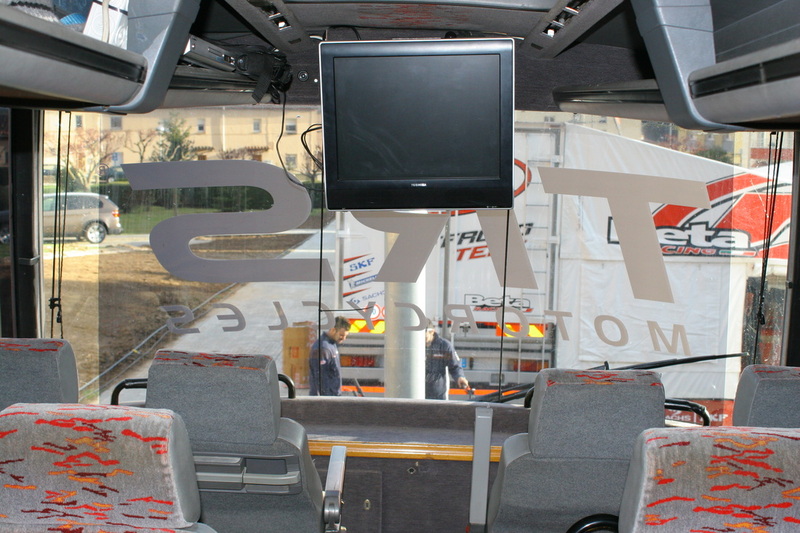 At this stage the fully equipped TRS team bus had been painted and liveried with TRS team decals. 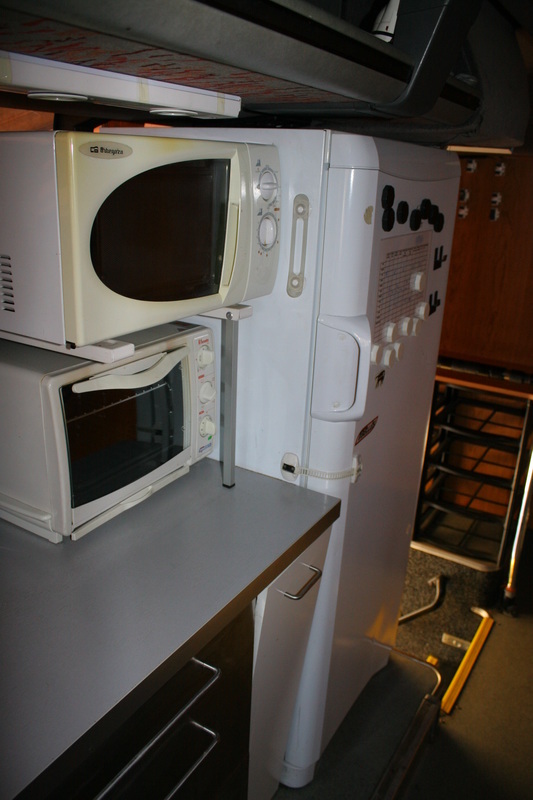 It was equipped with beds ,shower room, a kitchen area , televisions , storage for 8 bikes , paddock scooter and multiple awnings and tables. Caterers had been booked , food and drink bought and awnings packed .Everything was ready to go. Adam Raga is given 3 bikes by TRS . He rides his number one bike at all times. This is the bike that receives nearly all of the attention at all times. This bike is the priority. The other 2 bikes are for Sergi and Jordi Mira. 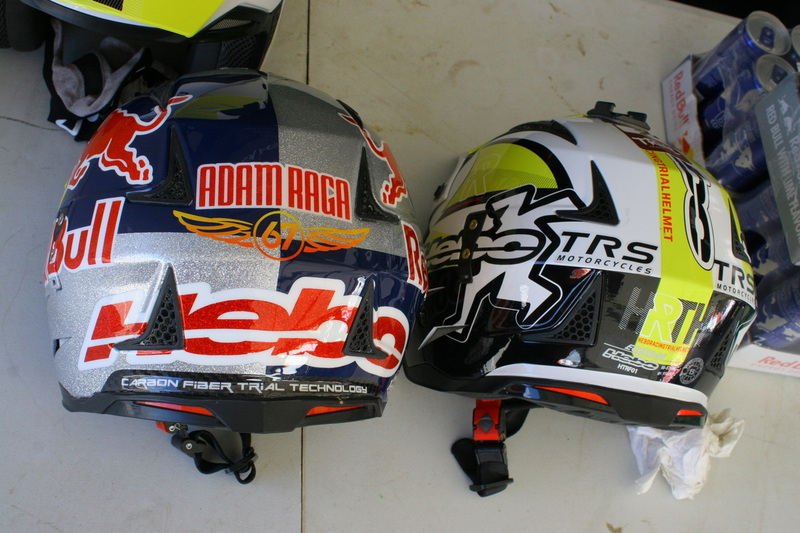 Adam Raga's TRS ONE receives a very high level of professional attention as you will discover. 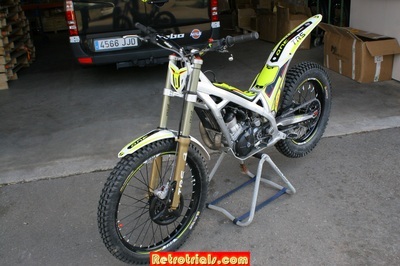 Adam was not present at the factory so was not able to test his bike after Jordi Mera had fully prepared it. 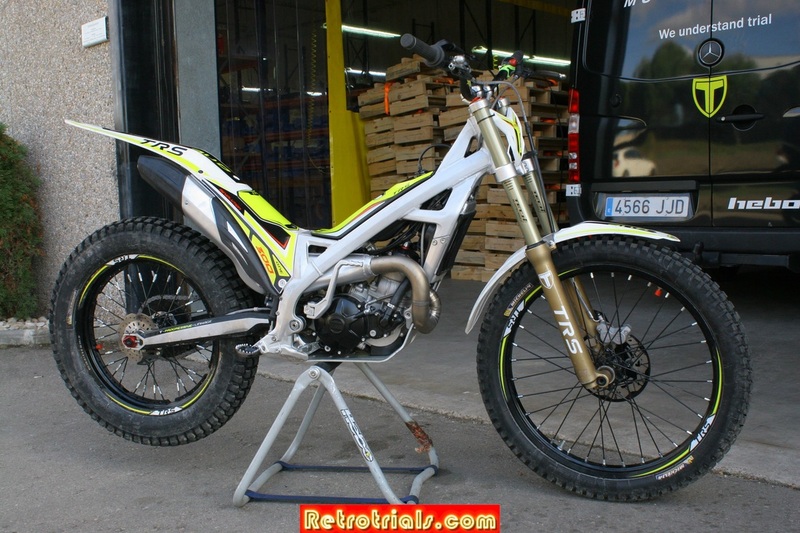 Sergi and Jordi however are both full aware of Adams requirements for the bike. They know that Adam likes on engine that is revs from nothing to maximum immediately. They know that Adam likes an incredibly smooth throttle, with almost no resistance at all. They know that Adam likes a strong clutch that grips immediately. They know that he likes his brakes sharp , progressive and strong .They also know that it is their job to ensure that they get Adam's bike perfect and right for him. No excuses ...no exceptions ....it must be correct first time. Shortly after the above photo was taken Sergi , rode Adam's bike for several minutes around the car park to ensure everything was perfect. 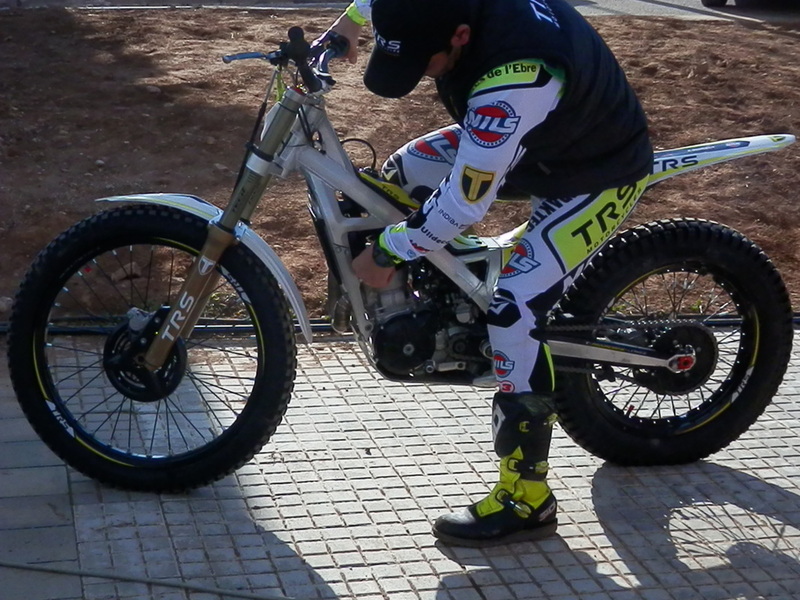 Sergi was testing the clutch , brakes and throttle response . 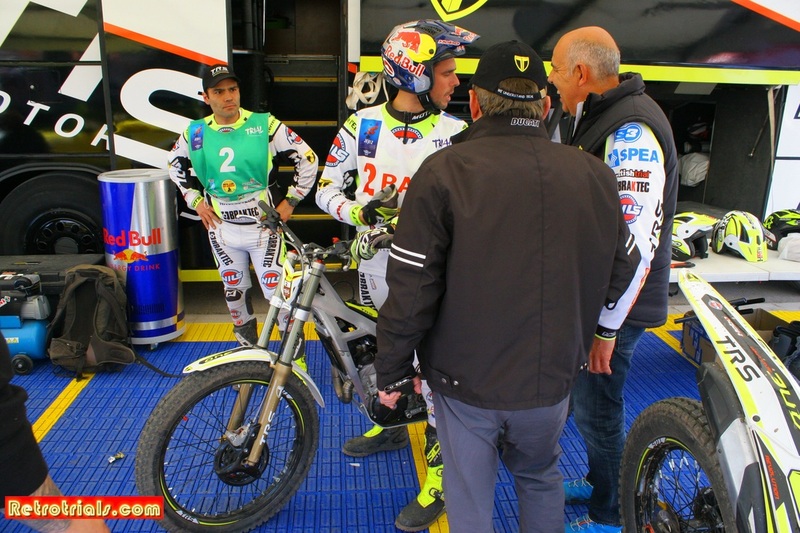 Jordi Tarres was also present and he also tested Adam's bike to ensure everything was perfect .I also asked for a ride around the car park and Sergi looked at me like i was mad.....and then said "No , is not possible". Dont ask - dont get :). My visit the factory lasted only 15 minutes or so , so at this stage i had not learnt a great deal. After this short visit to the factory we left and head back to Rellinars to deliver the new clothing to Pol that we had collected earlier . Later this evening (still Thursday) we headed over to Cal Rosal (40 minutes away) and assisted getting the paddock set up , putting the awnings up and the tables and seats out amongst other things. 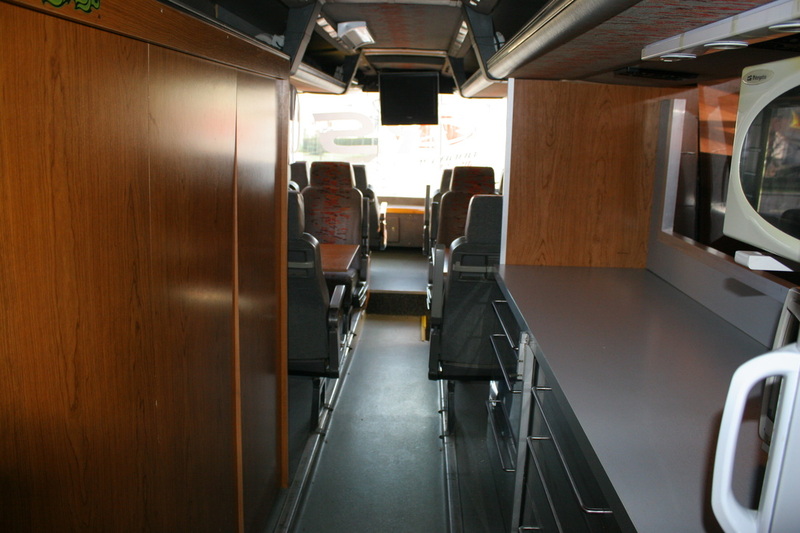 Photos from inside the TRS truck. Thursday included a visit to the TRS factory. 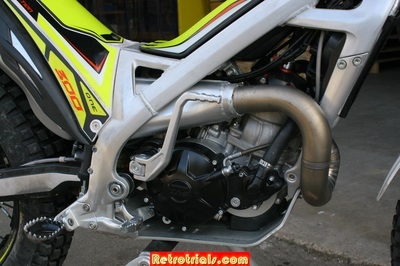 Photos of the factory will be shown in a later report , however this photo below is from the rear section of the TRS factory which is used to prepare , at times , the competition and team's bikes. In the below photo you can see Francesc Tarres to the left talking to Adam Raga's minder Sergi Bellavista in the blue shirt. 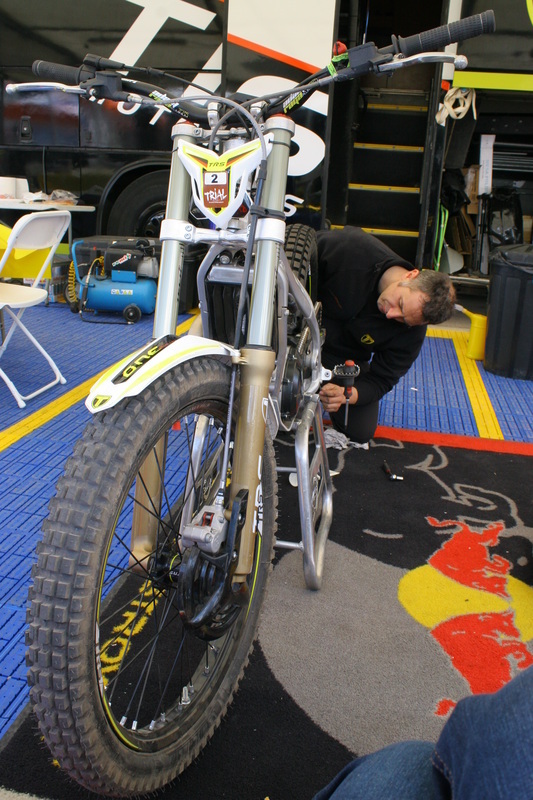 Adam's mechanic Jordi Mira looks on whilst he is making final touches to Adam's number one bike. Jordi Belles Roma was running the paddock for TRS. He has a Yamaha dealership nearby and is a good friend of team boss Jordi Tarres. He works tirelessly assembling the paddock and getting it perfect. He's a great guy and had everything prepared including real flowers for the tables. He was a great host and didn't stop all going all weekend. Then we went home to Rellinars. Friday is an important day . There is an allotted time for riders to visit the test area to ride their bikes , make adjustments and get used to the terrain. There is also an allotted time top view the sections. Its all very regimented and organised. You cannot just roll up when you want to . There is a time for everything. Despite the fact that Adam's bike has been prepared meticulously by Sergi and Jordi the day before , more testing is completed in the morning of Friday actually prior to Adam arriving on scene. When Adam arrives everything has to be perfect. These 2 guys work relentlessly on Adam's bike ensuring everything is perfect. 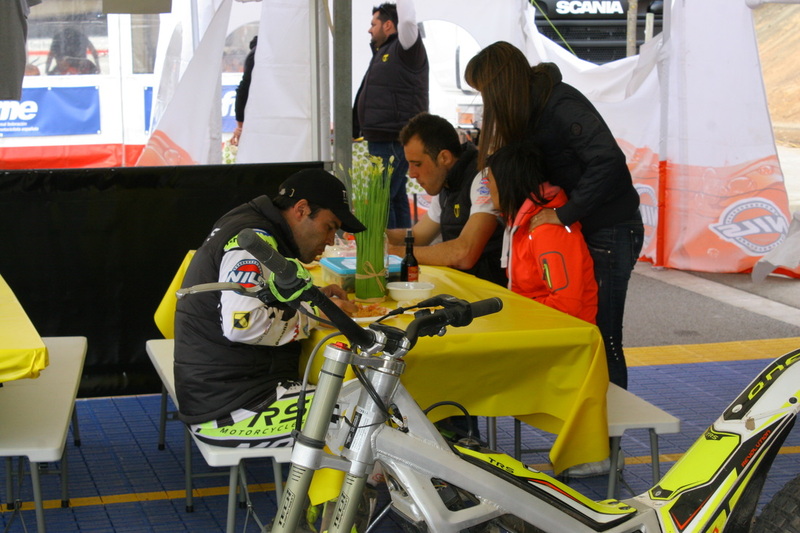 Here Jordi and Serge prepare Adam's bike. ​​The level of professionalism from both Sergi and Jordi at this high level is astounding . Please do not confuse this for one moment with normal trials maintenance. This is completely different. The level of maintenance and checking is astounding . Nothing is left to chance. Both Jordi and Sergi the minder know automatically what their responsibilities are and what they have to do. They concentrate 100% on ensuring everything is perfect for Adam. Adam doesn't have to remind them. Adam arrives at the trial TRS paddock relaxed in casual clothes to find that his machine is prepared perfectly to his liking . 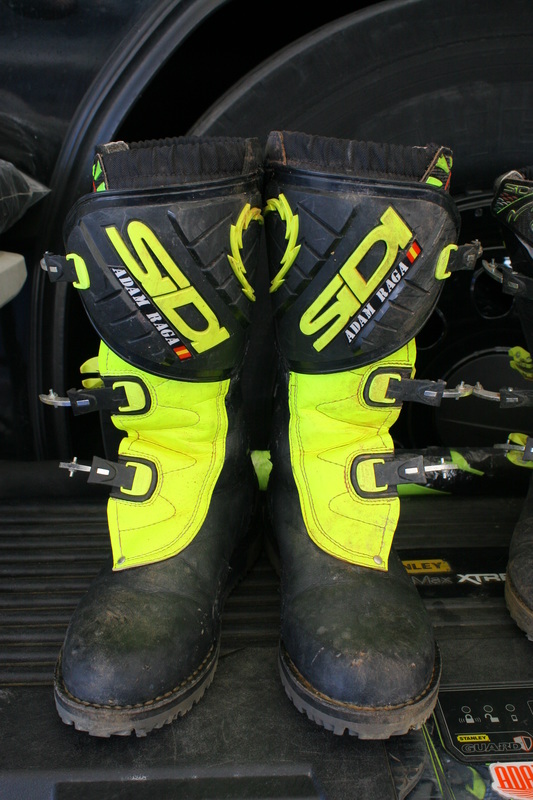 His boots and helmet are clean and waiting in their usual place. He doesn't have to rummage through bags for them. They are all ready , clean and waiting. Adam is a real fun guy and enjoys talking to fans , but make no mistake he is a 100% focused and he doesn't take his mind off the goal for one moment. 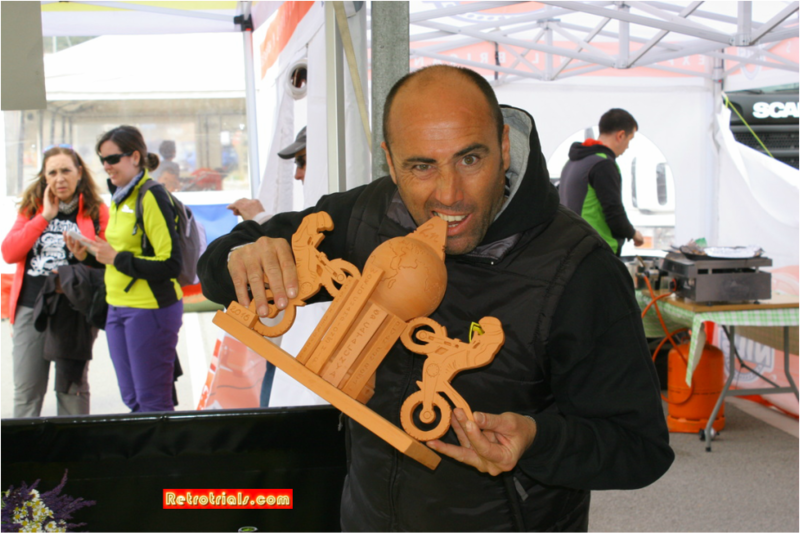 Sergi or Jordi the mechanic work like Trojans and never stop making preparations for the next ride . Sergi Bellavista is like a man on a mission . I have genuinely not seen such a high a level of dedication before. Sergi , talks briefly to Adam and then makes some small adjustments to the clothing he is carrying and gets Adam a drink. Sergi is paid directly by Adam and you can tell immediately that they run a highly efficient team with the aim of winning the World Championship. Sergi and Jordi dont make small talk, they don't laugh or joke together . One look at Sergi's eyes at any time during the weekend and you can see the level of determination and dedication from him. This guy is deadly serious. This guy is not here for fun , its work and there cannot be any mistakes. A true professional. 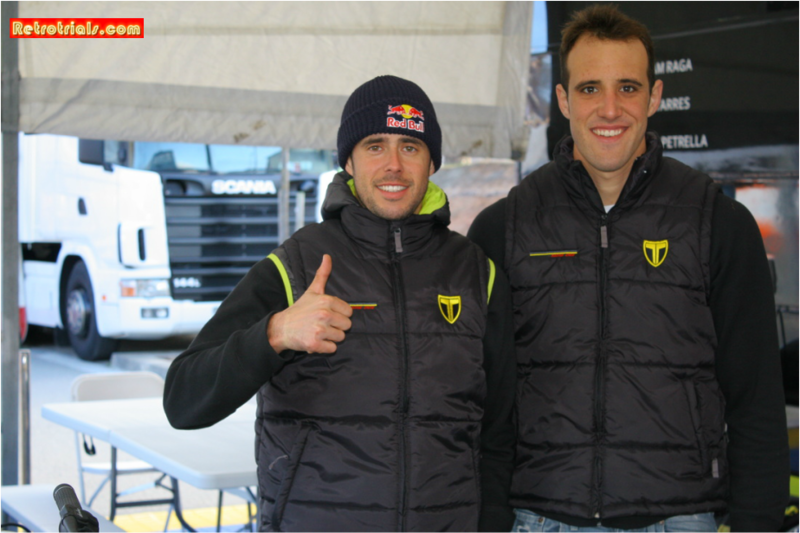 World number 2 Adam Raga and World no 12 Pol Tarres arrive at cal Rosal on the Friday before testing. ﻿Prior to testing Adam takes his completed TRS for a short spin around the paddock to make sure the feel is exactly correct. The teams of Adam and Pol then follow their respective riders to the official testing and practicing areas during their allotted times. Many other riders are already there. Sergi who used to be the minder for Pol Tarres takes position as Adam pushes himself. It is very very very easy to become distracted at these practicing sessions. 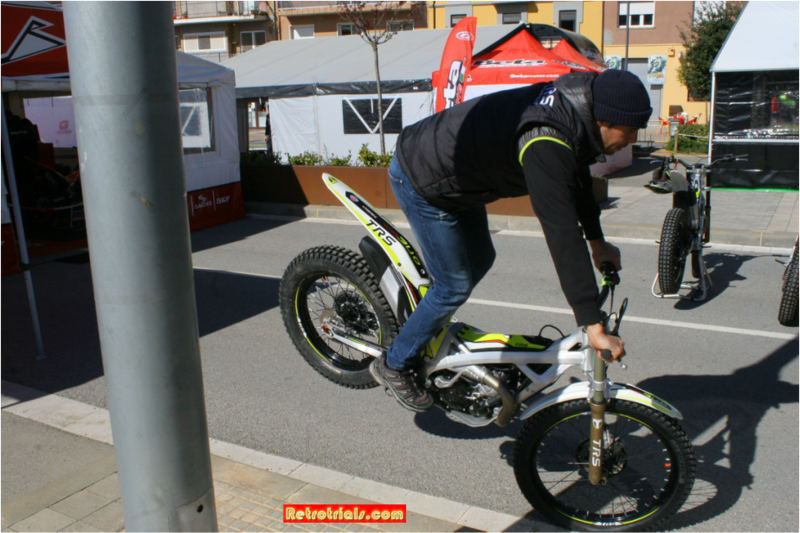 For instance Toni Bou was very nearby with Busto charging at massive steps. Sergi doesn't watch them for one second. He has no down time at all. He is on a piece of string attached to Adam , and nothing else in the World matters , other than Adam. Back at the TRS paddock. Meet another member of Adam's team . This is Adam's personal manager Xavi Gimenez. He loves riding extreme enduro. He is a funny guy :). Xavi controls the public image of Adam , including autograph signings , media interviews and social media streams. Practicing goes well for both Adam and Pol and they both return back to the TRS paddock after 1.5 hrs. Adam is very happy with his TRS and has been tackling some huge practice sections. Now the bike is given back to Jordi Mera the factory mechanic , who starts his work. Adam gives feedback after practising to Jordi Mera the mechanic. Jordi, the mechanic's role is to ensure that the bike is perfect and just exactly how Adam likes it. Jordi checks everything and every component on the bike entirely. 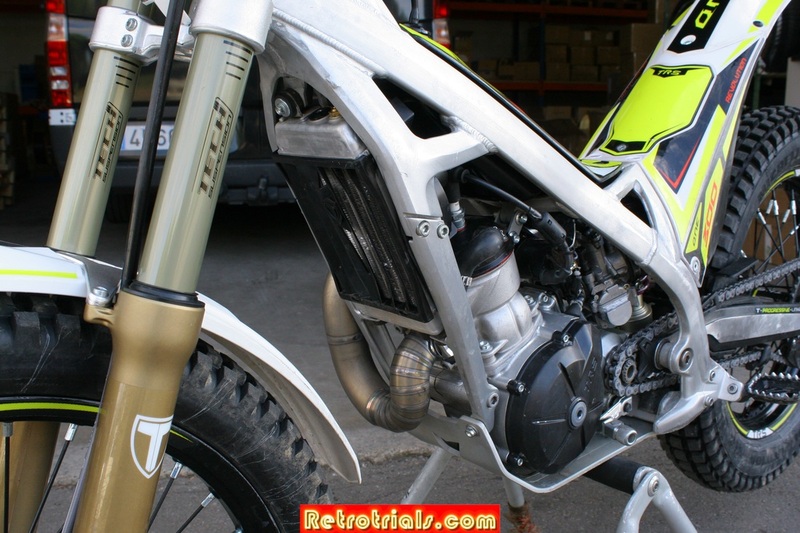 The rear subframe , seat and tank are removed . 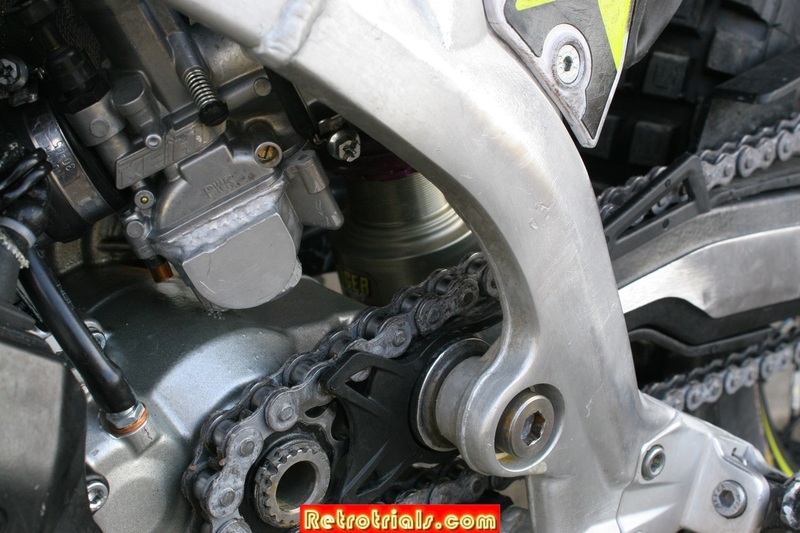 The carburetor is removed and cleaned meticulously in a process that takes 45 minutes. The throttle is perfect , but Adam likes his so so so smooth and light , so although its already perfect , it is disassembled and re oiled and refitted. The air filter is removed and replaced. The clutch receives a really tough time from Adam. This is always removed and the pack is checked for the correct dimensions. Its then refitted. The number plate and lights are all fitted and checked. All the bolts are checked. Coolant is checked topped up if necessary. Jordi's process of working on Adam's bike takes 4 hours minimum. 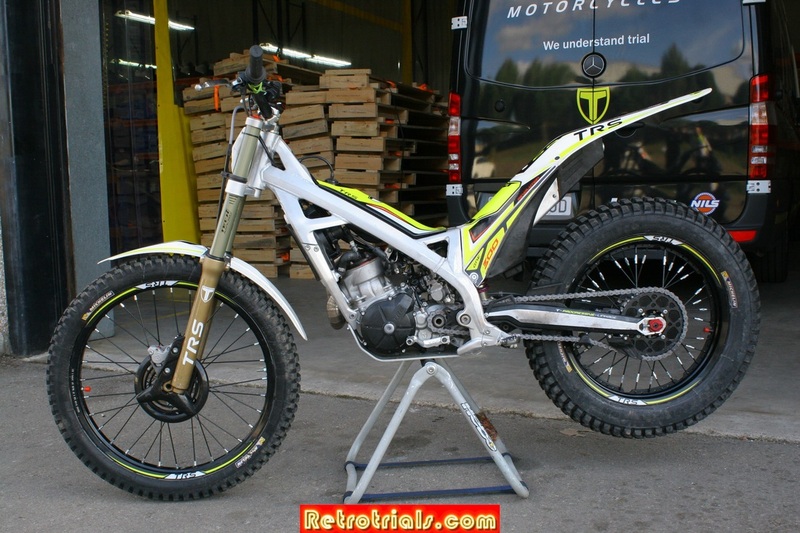 After so many years riding and testing bikes Adam has a an incredible feel for a bike. He was not perfectly happy with the feel of the left grip and thought he could feel a little ridge underneath it. So the grip was removed , and although nothing was visible a file was taken to the bars to reduce a small area of the bars circumference. The grip was then refitted. TRS mechanic Jordi Mera completing routine World competition servicing on the number one bike of Adam Raga after Friday practicing . The role of these people is to ensure that Adam has no unnecessary distractions so that he can keep himself fresh to give 100% effort on the competition. Now of course the whole TRS team works as a team , but i dont what you to be in any doubt that Adam is the 100% priority of his team , just like Pol Tarres is the priority of his team and likewise with Luca . I was impressed by the level of dedication and professionalism shown by the teams. Adam left the paddock at 6pm taking his huge black kit bag with him. Adam was going home to get a good nights rest- it makes sense. 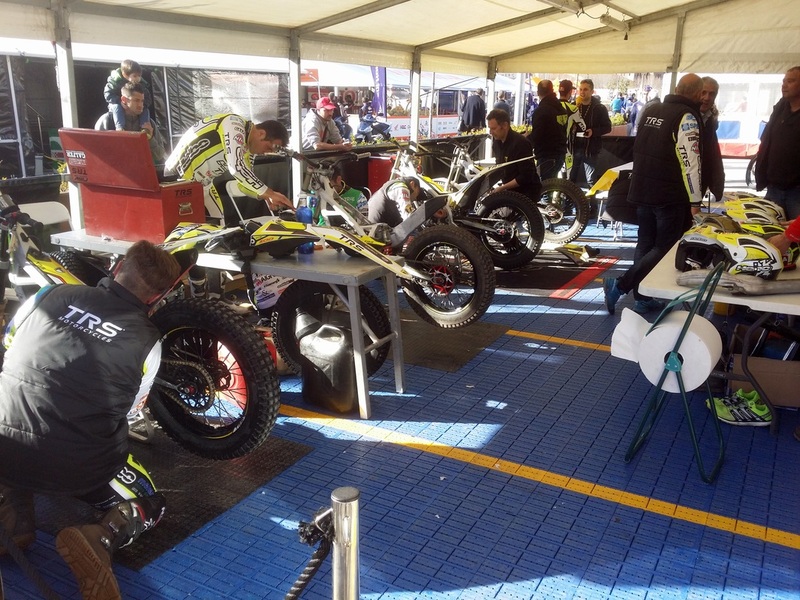 Jordi Mera and Sergi were left at the paddock getting everything perfect for Saturday race day. Jordi would finish some 2 hours later and help pack the bikes away in the truck. He would leave the paddock at 9pm. This was done after Sergi bedded in some new brake pads for Adam. Sergi would leap forward with the clutch and then apply the rear brake. He would do this 100 or more times to bed the brake pads in . Then ...when the pads and disc were very hot he would dowse it all in water . This ensures a better brake . Then onto Saturday race day. Due to the great design and meticulous maintenance to both Pol's and Adam's bikes run perfectly and its time for food. Jordi Belles Roma Paddock manager is in the rear. Pol is sitting next to his girlfriend and being spoken to by mum Angels. Adam's minder Sergi is on the opposite side of the table - doing his serious - man on a mission impression . In fact its not an impression ...because that's what he actually is like and does.Total dedication and concentration. Nothing else in the World matters. Adam's team have everything in hand . He is interviewed by numerous media outlets. Has visits from sponsors .Signs autographs ......then as the afternoon finishes , collects his bag and goes home . He knows that he has got a dedicated team behind him . They have been briefed , are experienced and know what to do. From the paddocks perspective Sunday was less hectic as there was no trial the following day. 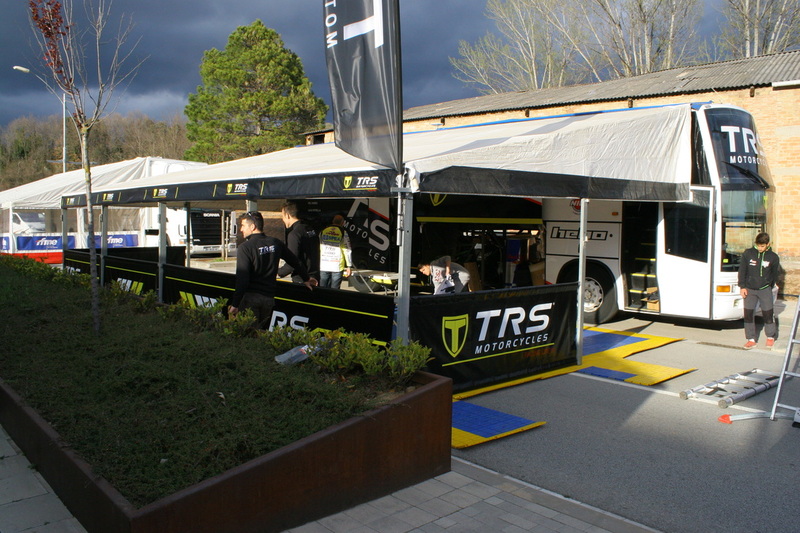 Over all I was astounded by the high level of professionalism that exists within the TRS camp. ​Separate teams working within one large team. Jordi Tarres gives advice as overall team manager. Hard work , long hours and love for the sport . ​That's what helps get the results. The race can be lost or won in the workshop so these guys get it right first time. 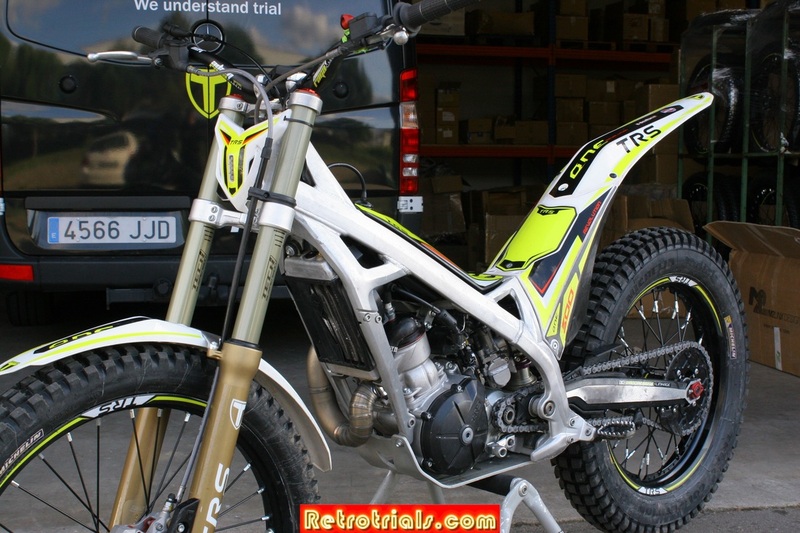 From my experience and viewing of Adam's TRS i can confirm that his bike is very very close to a standard production bike . 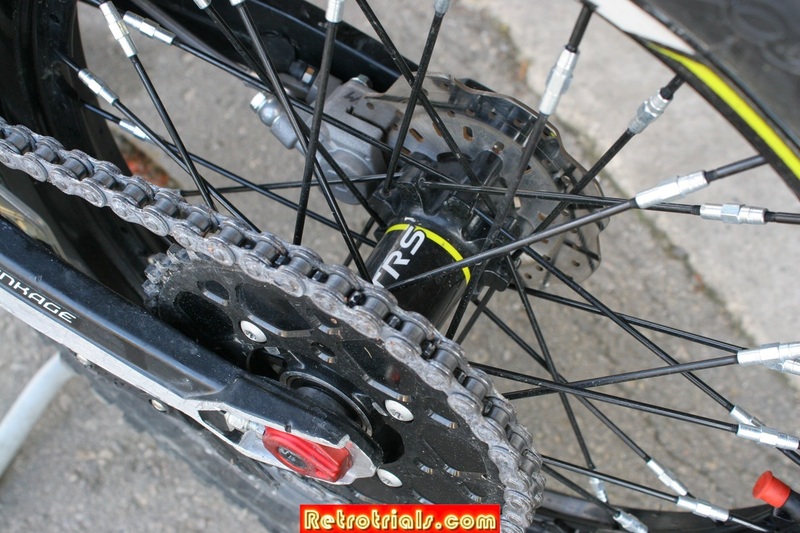 Adam has a Reiger rear shock. 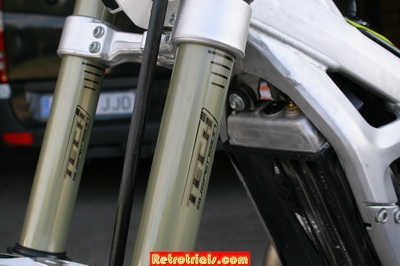 He also rides with special anodised front Tech forks , however its not known if these have special internals or not. My guess would be that they are standard internally. 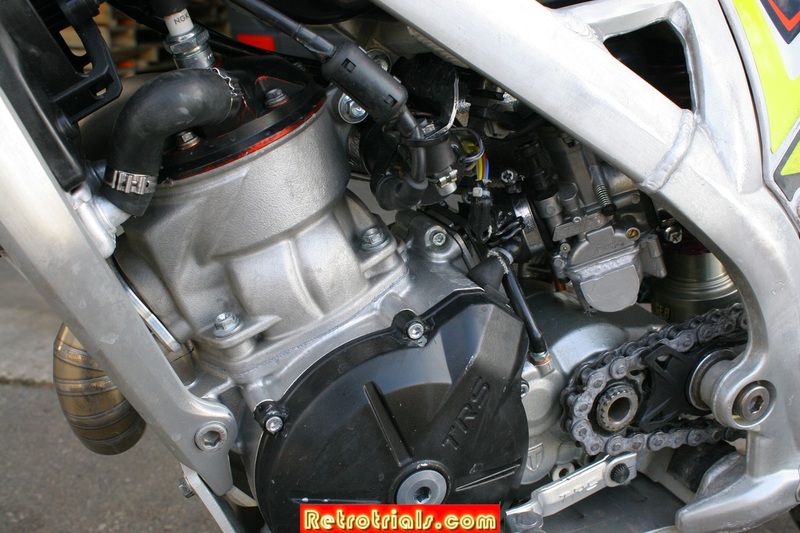 Modified carburetor float bowl and special cylinder head are the only other mods other than small customisations such as longer grips ,world round (no big holes) sprockets and discs. If you remember one thing from this article , remember that the respective teams are serious committed professionals who leave nothing to chance . Oh ...... and one more thing .........don't even think about getting in the way of Sergi Bellavista , probably the best , most focused and dedicated minder in the World today . Here are some photographs of Adam Raga's number one bike , taken at the TRS factory.